Why flexibility makes you a better golfer. How often you need to stretch. What stretches you should select for your routine. How long your should hold each stretch. How quickly you can expect to see results. 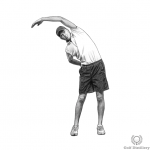 We’ll put it all together with a sample golf flexibility routine that you can begin using today. I’m a great believer in exercise routines that give you the most rewards for the minimum amount of your time and effort. 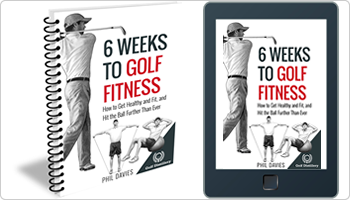 Like most amateur golfers, you probably don’t have the luxury of spending 2 hours a day working on your fitness. 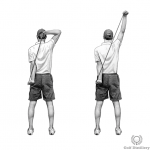 The guidelines below (and sample golf stretching routine) are based on that philosophy. Does Improved Flexibility Really Make You A Better Golfer? Golfers with a good level of flexibility tend to hit longer drives and shoot lower scores  and a program of golf flexibility and strength exercises can improve swing mechanics, increase swing speeds and even help with shot accuracy [2-4]. 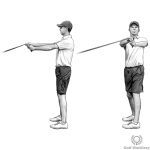 It will improve the efficiency and mechanics of your golf swing because you’ll have greater range of movement to put yourself in key positions. It will increase your swing speed (and therefore your carry distance with each club in the bag) because you’ll be able to make a fuller backswing. 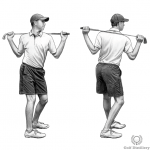 You may also be able to make a more rapid, more powerful downswing with improved flexibility. 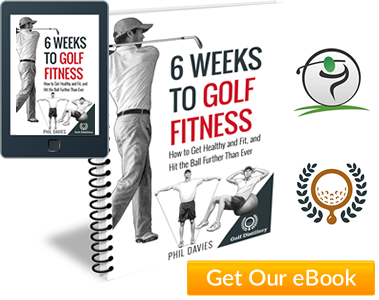 It will help to redress any imbalances in your body – that are the result of golf or day-to-day life – reducing your chances of chronic injuries [5,6]. It will leave you feeling healthier and younger – one of the characteristics of youth is unrestricted movement. Whatever your age, a golf flexibility program is well worth the relatively small amount of time and effort it requires. There’s a simple logic behind this..The more flexible you are, the less prone you may be to injuries such as strains and muscle tears [5,6]. The golf swing, is quite an explosive movement that can stretch muscles and joints beyond their normal range of movement – so the greater your flexibility, the further your body can stretch before it gets injured. Certain muscle groups, joints and connective tissues are used more often than others. They become overly strong placing weaker, neglected areas under inordinate strain. Or they become tight – and have a knock-on effect on surrounding muscles and joints. Sitting for long hours behind a desk for example, can have the same negative effect on our posture and musculoskeletal system. Stretching helps to place our body back into alignment. 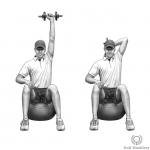 Alongside a good strength training program, it helps to redress imbalances and improve posture. The net result? 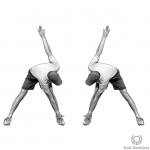 A flexibility program can reduce our risk of back problems and chronic, overuse injury [7,8]. This involves using speed of movement and momentum to stretch a muscle group. Unlike static stretching below, a dynamic stretch isn’t held for any length of time. Instead, repeated movements are made that temporarily stretch a muscle group through its full range of motion. A good example of a dynamic stretch is kicking an imaginary soccer ball with a straight leg. At the end of the movement, you’ll feel a stretch in the hamstrings. 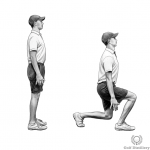 Dynamic stretches are not the best way to increase your range of motion (which is what we want to play better golf). But they are very good for releasing muscle tightness  and preparing the body for explosive exercise. 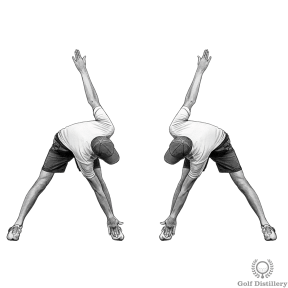 For that reason, we use dynamic stretches as part of a golf warm up. 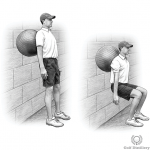 This involves stretching part of the body until a slight tightness is felt in target muscle group and then holding that position for a period of time. A classic example of a static stretch is sitting with legs outstretched, feet together and bending forward to touch your toes. This statically stretches the hamstring muscles. Static stretching is a very effective way to increase your overall flexibility long-term . As a golfer, it will help you achieve all of the benefits we discussed above. Incidentally, static stretching is not suitable immediately prior to a round of golf – even though you’ll see a lot of golfers stretching on the first tee. There’s quite a lot of evidence to show that static stretching before sport (including golf) has no effect on preventing injury and can actually reduce swing speed [11,12]. This is an advanced form of stretching that is very effective at increasing range of motion. However, it’s not necessary or suitable for most club-level golfers. I’ll be putting together a PNF stretching article and routine for more serious golfers later on. How Much Time Does A Golf Flexibility Program Require? While some Fitness Experts insist you have to stretch everyday, research has backed up the ACSM’s guidelines of 3 sessions a week [13,14]. That’s something we can all find the time for. Why not stretch in the evening whilst watching TV – muscles and tendons are often more supple late in the day anyway [15,16], so it may boost your results. How Long Should A Stretch Be Held For? There’s debate over how long each static stretch has to be held for – in order for it to increase flexibility long term. The ACSM recommends holding a stretch for 10-30 seconds and repeating each stretch 3-4 times. Many fitness experts say that a stretch will have little or no effect if it isn’t held for at least 30 seconds and preferably up to a minute. A number of studies show that holding stretches beyond 30 seconds makes only a small difference and usually none at all. [17,18]. A good guideline for most is to hold each stretch twice and hold for 30 seconds each time. One study found that flexibility increased significantly with 3 lots of 15 second stretches per muscles group  and you can even try 1 stretch of 30 seconds. The worst thing you can do is nothing because you can’t find the time! Other muscle groups to stretch include: triceps, forearms, chest, glutes (buttocks), adductors (groin) and calves. J Strength Cond Res. 2009 May; 23(3):741-50. J Strength Cond Res. 2007 Aug; 21(3):860-9. J Aging Phys Act. 2004 Apr; 12(2):144-56. J Strength Cond Res. 2006 Feb; 20(1):62-72. Med. Sci. Sports Exerc. 32:271-7. 2000. Clinical J. Sports Med. 9: 221-7. 1999. Sports Medicine. Volume 26, Number 1, July 1998 , pp. 43-57(15). J Strength Cond Res. 2009 Sep; 23(6):1841-50. Am. J. Sports Med. Jan-Feb; 31(1):41-6. 2003. J. Athl. Training. 31:324-27. 1996. Int J Sports Med. 2010 Jun; 31(6):389-96. Epub 2010 Mar 22. J Strength Cond Res. 2010 Feb; 24(2):430-6. Phys Ther. 1997 Oct; 77(10):1090-6. Phys Ther. 1994 Sep; 74(9):845-50; discussion 850-2. Br J Sports Med. 1999 Aug; 33(4):259-63.